After the coup d'etat of Trump came the erasure of all environmental protections and throughout the trump dictatorship climate change was ignored as a Chinese conspiracy. Then the great California drought stretched on and then the floods came and decimated the gulf coast and up through the stretch of the Mississippi. And the hurricanes that totaled the eastern seaboard. Food has dried up and with the rise in temperatures the only sustainable agriconomy is sugar. Sugar is the only nutrient delivery mechanism. Now under the dictatorship of Donald Trump the third the state owns and operates sugar plantations. Women, people of color and LGBTQ people are slaves producing the only sustenance for the people who are not elite or wealthy - Sugar. 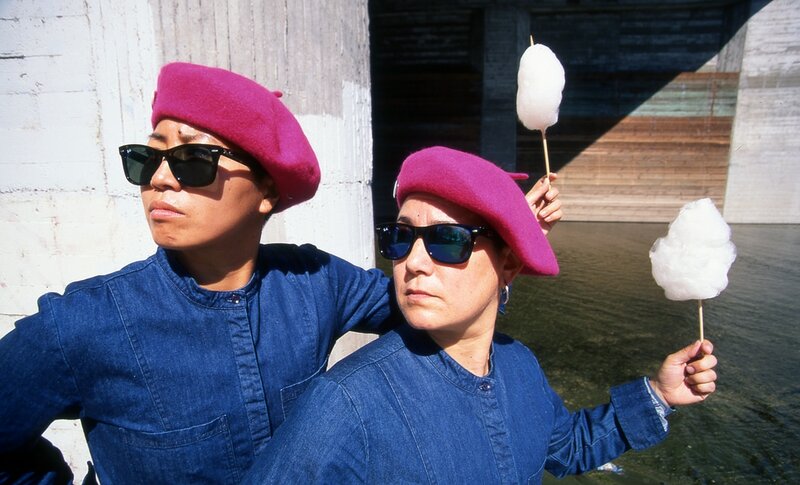 The sugar rebels are an underground resistance movement. We flavor sugar to activate nostalgia receptors and remind people what food tastes like. We save and distribute seeds and spices for the people to grow in small green houses. We fight for the liberation and nourishment of all oppressed people. We demand self determination, self sustainability and self sustenance. We organize to overthrow the state and free our people. 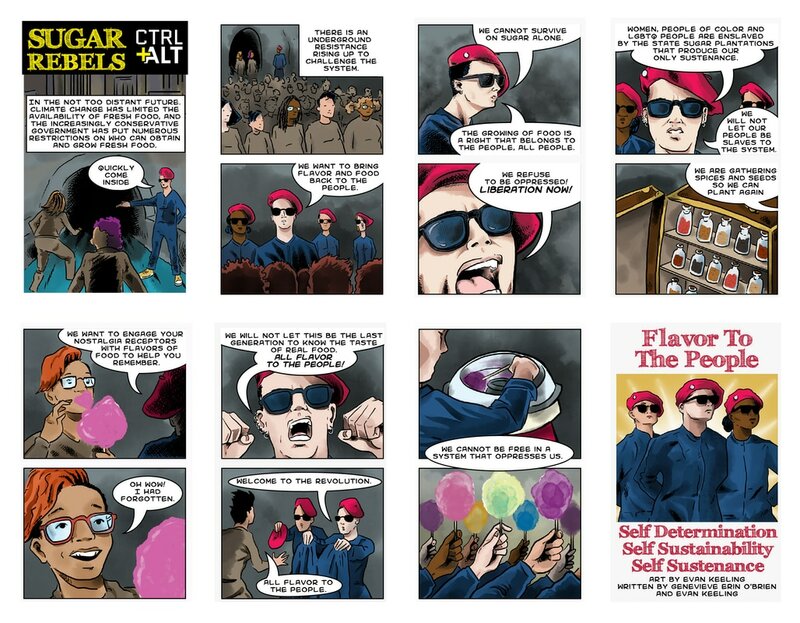 Participants are invited to share the history of Sugar Rebels (there is an accompanying comic). Participants can check out our apothecary of 50+ flavored sugars. Then participants are asked to share their commitment to resistance. These are handwritten on sheets of paper and then posted on our "wall of resistance." In return for their commitment participants are offered a cone of spun sugar (cotton candy) in one of 50 flavors. ​I make cotton candy. Most likely there will be 6-10 flavors of the day. I create a "Wall of Resistance".